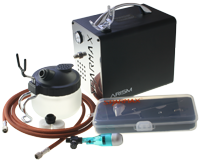 The Universal Airbrush Holder is part of the Iwata Workstation range of products that work together and keep your cleaning area all in one spot. Two universal airbrush hangers that hold any combination of gravity-feed, side-feed, bottom-feed and trigger-style airbrushes. 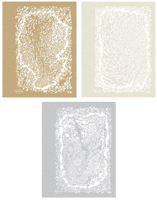 Specific hanger design holds airbrushes securely so they cannot be accidentally pulled from hanger. 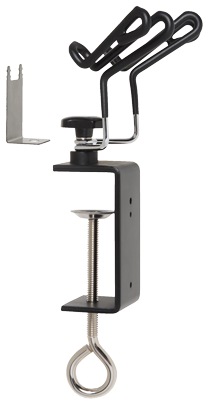 Heavy-duty clamp with extra depth for thick tables up to 3 inches (76.2 mm) thick. Includes a screw for attaching a mounting bracket for a regulator (sold separately). 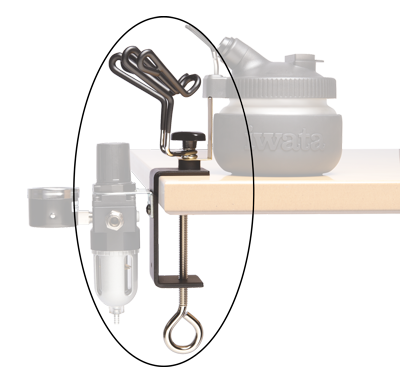 A separate mounting bracket can be purchased to mount new style Iwata compressor regulators away from the compressor case and onto the Iwata Universal Airbrush Hanger as part of a universal workstation system.